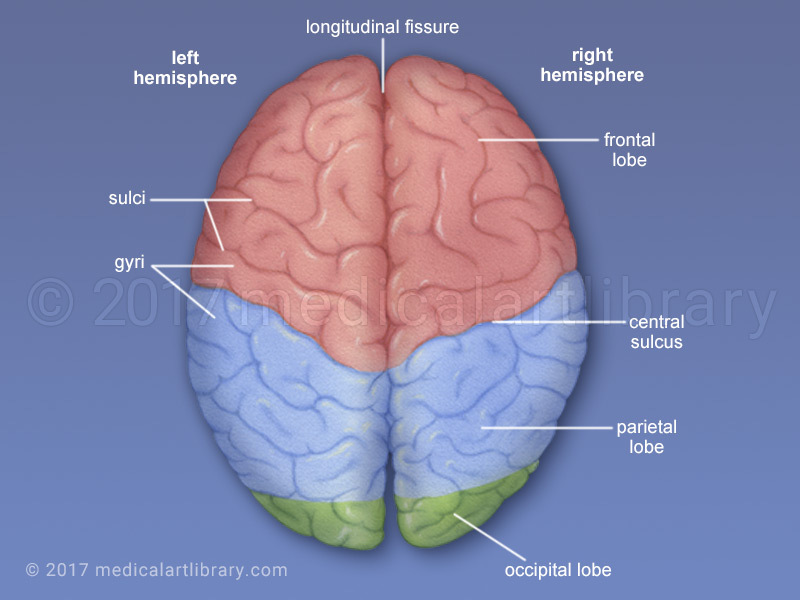 The cerebrum is divided into right and left hemispheres by the longitudinal fissure. The central sulcus separates the frontal lobe from the parietal lobe. The folds or convolutions in the brain are called gyri, the grooves are sulci. The occipital lobe is the primary visual area of the brain. The two hemispheres are connected by and communicate with each other via the corpus callosum, anterior commissure and posterior commissure which are white matter tracts made up of myelinated nerve cell axons. Althought most functions are shared to some extent by both hemispheres, each half tends to have a dominant responsibility for a particular function. 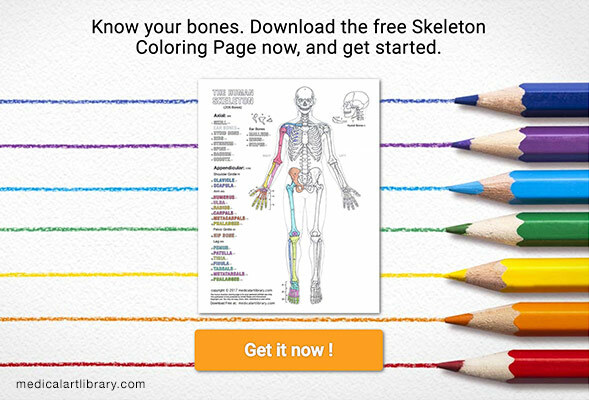 In most right handed people the left hemisphere is though to be dominant for language, for many left handed people the right hemisphere dominates for language.